Where is your next adventure going to be? Below are a few of our favorite destinations to widen your horizons and add a little excitement to your life. 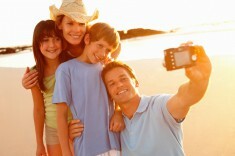 Costa Rica: Perfect for exotic honeymoons and family fun and education. Try rappelling, white water rafting, zip lining through the tree tops, horseback riding, snorkeling, and hiking to waterfalls or volcanoes. Your kids will love spotting and learning about all of the animals, birds and bugs – This is Natures’s classroom! Costa Rica is also a hot spot for surfers, with some of the best surfing conditions in the world. 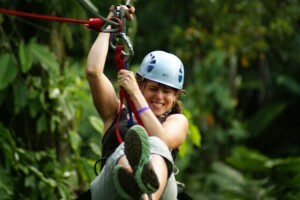 Costa Rica has it all, including beautiful lodges and resorts, great food and friendly people. 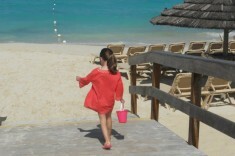 Aruba: Just the place to enjoy an active vacation with friends or for a romantic vacation for two. This popular beach destination may come to mind as a place to just relax and unwind, but Aruba offers much in the way of excitement and adventure. Off Roading, Snorkeling in Coral Reefs and Abandoned Ship Wrecks off the coast are popular activities on this island. 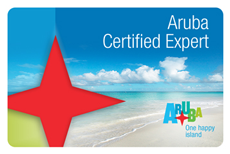 Aruba is also a world renowned wind surfing spot, because of it’s calm waters and perfect wind conditions. Best thing? The weather in Aruba is consistently beautiful, guaranteeing you will have plenty of time to go out and enjoy those adventures you have planned. New Zealand: For those who want to experience a variety of adventure activities in one beautiful location. A snorkeling trip to a seal colony, an incredible hiking trip through lush rainforest, unforgettable sea kayaking around volcanic headlands, island outcrops and mangrove forest – just some of the adventures you can experience in New Zealand. Take a cycling tour through breathtaking vistas followed up with a well deserved soak in natural hot pools beneath majestic mountains. And don’t forget to make time to snorkel in the crystal clear waters of the beautiful Kaikoura Peninsula. If you are game for adventure, New Zealand is perfect for you. Book Your Honeymoon with Us!